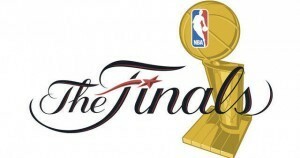 NBA Finals Picks Archives - NSAwins.com – Expert Sports Picks from USA's #1 Sports Handicapping Service! Tag Archive | "NBA Finals Picks"
Miami Heat at Dallas Mavericks NBA Finals Game 5 Free Tips, Lines, Odds, Props and Betting Markets – NBA Finals Betting 6/9/11: Another come from behind win by the Mavericks has this series knotted at 2-2 heading into Thursday night’s Game 5. This series has been remarkably evenly matched, and the last three games have each been decided by three points or less. All three contests have featured game-tying or game-winning shot attempts that have been missed at the buzzer. It is the first time since 1948 that three consecutive finals games have been decided by such a small margin, and if it happens again Thursday, it will be a new NBA record. The series has been so close, that neither team is favored in Thursday’s matchup. If you break the series down minute by minute, the Miami Heat have been the superior team. However, a less than spectacular six-minute stretch in the fourth quarter of Game 2 and a nine-minute stretch in the fourth quarter Game 4 have proven to be very costly for Miami’s title hopes. Dallas almost seems comfortable playing from behind, and the Heat simply don’t have an answer for the late-game surges by the Mavericks. Essentially, the games are boiling down to whether or not Dallas has enough time to storm back or if the Heat are able to hang on. The contrast in styles has been equally effective for both teams thus far, and entering Game 5, neither team has been able to win back-to-back games. In terms of pressure, the Mavericks probably need to win Game 5 more than the Heat do. The last thing the Mavericks want to do is leave their home court in a 3-2 hole because the chances of Dallas winning a Game 6 and Game 7 in Miami are slim. That being said, the Heat by no means want to head home down 3-2 either, but any team in the NBA would rather face two must win games at home than on the road. The fourth quarter will likely decide things once again Thursday, and the play of LeBron James on both ends of he court will go a long way to determining which team emerges victorious. Through the first four games combined, James has tallied a lackluster 9 points on 3-12 shooting in the fourth quarter. Compare that to Dirk Nowitzki, who has poured in 44 points on 12-24 shooting, including a perfect 18-18 from the foul line, during fourth quarters if this series. Despite his lack of offensive contributions, the Heat have still been able to win the two games when James shut down Jason Terry in the final quarter. He doesn’t necessarily have to be the closer on offense, but the Heat need James to contribute on one end of the court if they are going to win. Nowitzki and Dwyane Wade will continue to be the main scoring options for both sides, and it is safe to say that the finals MVP is going to Wade if Miami wins and Nowitzki if Dallas gets it done. The question at this point is whether either player will have an off game. Considering how great both have been thus far, there is always a chance it could happen. If Nowitzki sputters, Dallas is in serious trouble, while there is a chance that Miami’s other stars could overcome a rough night from Wade. In the end, Game 5 is going to be decided by the play of James. He is either going to rebound from the worst playoff performance of his career with a statement game, or he is going to continue to be passive on both ends of the court. Unfortunately for Miami, the two-time MVP has shown few signs of having the confidence needed to live up to all the expectations on the biggest stage in the NBA. Look for Wade to continue to dominate, only to see another fourth quarter comeback by the Mavericks push the Heat to the brink of elimination. Miami Heat at Dallas Mavericks NBA Finals Game 3 Expert Picks, Odds and Predictions – NBA Playoffs Betting Preview 6/5/11: Forward LeBron James will regroup the stunned Miami Heat as they head on the road to the American Airlines Center to take on big sharp shooter Dirk Nowitzki and the Dallas Mavericks for game 3 of the NBA Finals on Sunday evening at 8:00 PM ET on ABC Sports. The Mavericks came back from 15 points down with about 6 minutes left in the 4th quarter to beat the Heat at home 95-93 and even the series 1-1 with the next 3 games in Dallas and games 6 & 7 back in Miami if necessary. The odds makers at Bodog have the Dallas Mavericks a -2 point favorite at home against the Miami Heat. Nowitzki’s injured left hand looked fine as he finished off the comeback with a drive past Chris Bosh to the left and the game winning layup with his left hand en route to 24 points as well as 11 boards and 4 assists to lead Dallas to the victory. Forward Shawn Marion had another productive night with 20 points, 8 rebounds and 3 assists while big Tyson Chandler pulled down 7 boards with 13 points. Point Guard Jason Kidd only scored 6 points but had 8 rebounds and 5 assists and Jason Terry came off the bench to chip in 16 points as well. The Mavs improved their rebounding and showed a better ability to score on the vaunted Heat defense in game 2. Vegas odds makers have the over/under for the total score at 186 points combined of the Dallas Mavericks and Miami Heat. The Heatles looked good through 3 ½ quarters and shooting guard Dwayne Wade finally seemed to be getting to the rim and scoring with 36 points to go along with 5 boards and 6 assists for the game. But down the stretch the Heat offense went to the “prevent defense” used unsuccessfully by football teams, but their version was to milk the shot clock down and launch a difficult 2 or 3 point shot in hopes it would put the game away. LeBron finished with 20 points 8 rebounds and 4 assist while Bosh added 12 points and 8 boards to go with his brief bad defense. Miami’s bench only scored 11 total points 9 by Mario Chalmers. Vegas odds makers have the Miami Heat -175 to win the 2010-2011 NBA Championship. I predict a Heat upset win on the road. Get extra FREE NBA Picks daily from expert handicappers on NSAwins.com’s 2011 NBA Expert Picks page. NEED EXPERT PICKS from Top Vegas NBA Handicappers? Check out NSAwins.com’s World Champion Handicapper Sonny LaFouchi(aka “The LEGEND”) as he releases expert NBA predictions to beat the vegas pointspreads and make his clients thousands of dollars in CASH with WINNERS on each NBA Playoff game. Packages start as little as $29.95 daily! Don’t miss out, as the LEGEND has been the #1 ranked overall NBA Handicapper in Las Vegas the past 5 years! Dallas Mavericks at Miami Heat NBA Finals Game 2 Expert Picks, Odds and Predictions – NBA Playoffs Betting Preview 6/2/11: An injured All-Star sharpshooter Dirk Nowitzki will take the court again at the American Airlines Arena with his Dallas Mavericks to take on 2006 Finals MVP Dwayne Wade and the white hot Miami Heat on Thursday evening at 9:00 PM ET on ABC Sports for game 2 of the NBA Finals. The Heat won game 1 on Tuesday 92-84 at home to take a 1-0 series lead in the best of seven that follows a 2-3-2 format with 2 games at Miami, followed by 3 (if necessary) at Dallas, and the games 6 & 7 back at Miami if the series were to go that far. Nowitzki injured a tendon in a fingertip on his non shooting left hand in game 1 but insists he is ok and it will not negatively affect him in game 2 tonight. During game one the Heat defended Dirk pretty successfully with Joel Anthony and Udonis Haslem on him most of the night and double teaming him often. Dirk still got his points but the role players and bench didn’t step up for the Mavericks as it has in earlier series victories. The NBA Finals is a series of adjustments and Dallas better be turning up something to get more scoring against a tenacious Heat defense. The odds makers at Bodog have the Miami Heat a -4 1/2 point favorite at home against the Dallas Mavericks. The Heat were led by the big three who totaled just 65 points with forward LeBron James scoring 24 points, 9 rebounds and 5 assist in 45 minutes of action. Wade followed with 22 points, 10 boards and 6 assists but seemed hesitant early but made big plays down the stretch while big Chris Bosh added 19 points, 9 rebounds and 3 assists in another quality outing. Backup point guard Mario Chalmers came off the bench to score 12 points and along with Haslem and Mike Miller were very effective. Vegas odds makers have the Miami Heat -175 to win the 2010-2011 NBA Championship. Nowitzki poured in 27 points one below his playoff average but hit just 7 of 18 shots while grabbing 8 rebounds and Jason Terry added 12 points but all in the first half off the bench. A bright spot on offense was forward Shawn Merion who was once with the Heat who moved well without the ball to add 16 points pulled down 10 boards and dished 4 dimes. Vegas odds makers have the over/under for the total score at 186 points combined of the Dallas Mavericks and Miami Heat. I predict the Heatles win again at home to stay undefeated at home throughout the playoffs and take a 2-0 lead to Dallas! Dallas Mavericks at Miami Heat NBA Finals Game 1 Expert Picks, Odds and Predictions – NBA Playoffs Betting Preview 5/31/11: Big high scoring forward Dirk Nowitzki will lead the Dallas Mavericks on the road to the American Airlines Arena to take on a hungry 2 time MVP LeBron James and the Miami Heat on Tuesday night at 9:00 PM ET on ABC Sports for game 1 of the NBA Finals. This is a rematch of the 2006 NBA Finals won by Miami who fell behind 2-0 but came back with 4 consecutive victories for their first NBA Championship but only two players from each team remain. Miami still has shooting guard Dwayne Wade and Udonis Haslem while the Mavs bring back Nowitzki and Jason Terry from the 2006 teams. The odds makers at Bodog have the Miami Heat a -4 1/2 point favorite at home against the Dallas Mavericks. Dallas and Miami have the same playoff record of 12-3 but neither has been an easy road to the playoffs. Dallas ousted the Portland Trailblazers 4-2, and then swept the two time defending champion Los Angeles Lakers in 4 to eliminate the dream series of Miami/LA in the finals. The Mavs then sent home the young and talented Oklahoma City Thunder to get back to the Finals and take on the Miami Heat. Since 1999 only 3 teams have come out of the West to make the Finals, LA 7 times, San Antonio 4 times and now the Mavs for the second. Nowitzki has been outstanding averaging 28.4 points per game second in the NBA Playoffs to go along with 7.5 rebounds per game and showing seasoned leadership for them down the stretch. Vegas odds makers have the over/under for the total score at 187 points combined of the Dallas Mavericks and Miami Heat. The Heat are also at 12-3 in the playoffs and just 4 games away from another NBA Championship and the first since the Heatles came together last summer with this goal in mind. The Heat was focused with a 4-1 series victory over Philadelphia to get to the defending Eastern Conference Champion Boston Celtics. The Heat out played Boston physically and showed a resolve they didn’t seem to have during the regular season resulting in another 4-1 series win. The Eastern Conference finals brought a different test that the Heat and especially LeBron James stepped up on conquered with another 4-1 series triumph to get back to the finals. LeBron leads the Heat with a 26 point average for the playoffs but the big three have all had success at one point or another. Vegas odds makers have the Miami Heat -175 to win the 2010-2011 NBA Championship. I predict a Heat Victory in Game 1 at home and win the series in 5 overall!